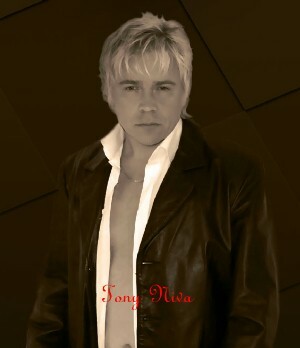 Tony Niva released NO CAPITULATION album from ZERO CORPORATION in 1994, then joined LION’S SHARE – he has started new NIVA with Roger Ljunggren (T’BELL) and guys. Here’s an e-mail interview with Tony, just before the release of their album on the 21st of September, 2011. S-ROCK: You sang for SWEDISH EROTICA, and released an album NO CAPITULATION as NIVA from ZERO CORPORATION in 1994. And you joined LION’S SHARE in 2000. Since then what did you do in music business? Tony: I haven’t had any album projects since 2001, instead I’ve been singing on different occasions like birthdays and even some concerts at church – I’ve also composed a lot of own materials the last 10 years.Time has been spent educating myself and building a family. Now my employment is within the IT sector. 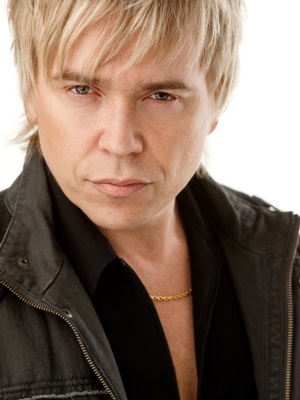 S-ROCK: You and Roger Ljunggren have known each other for a long time, how did you get to know him? What do you describe about him? How about other guys of the band? Tony: Back in the 80’s I heard about a guitarist that really had something special. I met Roger in his hometown Skara, which is a town nearby Skövde, where I live. We started to write some materials, but when not being able to find the right musicians for a band, I decided to move on and join an established band in Gothenburg but that is a different story. Roger is still a brilliant guitarist and has developed a lot as a songwriter. He is now also one of my best friends. Marcus is the keyboard player, background vocalist, songwriter and also the producer that I met while making our first demo. There are a lot of great things to say about him, and when we recorded the vocals for this album I felt very comfortable in how we made our approach to make the recordings just right. Primary it’s all about a great cooperation, which is a key for success and the fact that Marcus professional craftsmanship and personality are something I highly value. Bengan is a well known session drummer , and Peter Andersson is making a guest appearance on bass – We go back a lot of years since AXIA and the – 94 NIVA album. Plec, the technician also contributed with his high skills and experience in a very good way. S-ROCK: On the 21st of September the album “GOLD FROM THE FUTURE” will be released in Japan. 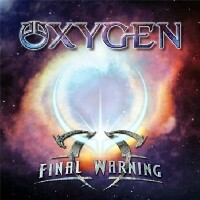 Music from this album sounds really 80’s, very melodic, really AOR. Which song(s) is your favorite? Tony: We’ve had different favorite songs while we were recording this album. I only can say that we are very satisfied with all our tracks on this album. This time there was no compromises for making a really good recording. Another thing is that we have much more materials in stock that we are eager to release in near future. Materials that we earlier never had the opportunity to record in studio, and we also constantly writing new songs for the band. 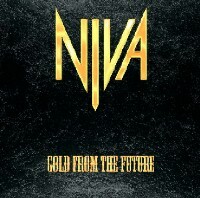 Tony: GOLD FROM THE FUTURE is an album title that is taken from the album track with the same name. Our intention, from the begining, was to make an album with lyrics and melodies that we already to day will be listening to, taken from the future so to speak. So therefore the line “gold from the future” sounded just right. There is of course a lot of good bands out there but our goal is to reach out to our listeners with current topics that concerns us everyone from the real life. We’d like to represent with this album, hopefully, great melodies and harmonies that really will get in to you and also give perspective to what’s important in life. S-ROCK: How do you have an idea to compose and to write lyrics? Tony: I am a daydreamer and usually constantly putting words together for composing new songs. When the lyrics have been created, it can be edited afterwards to suit the melody of the song. The melody can sometimes precede the lyrics. Usually, someone has a text and a melody idea, which is then processed into a finished song. Roger, Marcus and I, is always involved in this process. S-ROCK: How do you guys start songwriting in this project? Tony: We started the songwriting right after our first demo “Janitor of love” was delivered to MARQUEE/Avalon. They were immediately interested in hearing new materials , and so a second 4 track demo was made. This lead to the record deal and the “GOLD FROM THE FUTURE” album. S-ROCK: Any other release plan of this album for example in Europe? Tony: MARQUEE/Avalon have the world wide rights for the album , so it is very likely to be released outside the Asian region. No dates for this is set though. S-ROCK: How about any plan of gigs? Tony: We certainly are eager to play in front of a live audience, but it all depends on how our album will be received. S-ROCK: Who is/which band is your favorite? Tony: I really enjoy listening to music , and there are so many good acts in the vein of melodic rock, especially in Scandinavia , so I which not to mention any single band. Of course, I listen a lot to old stuff, but it seems like you definite can hear echoes of the past in many new bands, which I personally think is great. S-ROCK: How about your favorite album(s) and song(s)? Tony: I am a musical omnivore. 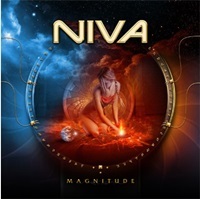 I can find peace of mind when I listen to classical, Jazz and blues as well as when I create songs for NIVA. S-ROCK: What is your goal as a musician? Tony: My goal is to make an album that fans will listen to and like for many years to come. It’s just like the title track says, that we may already recorded something that will be appreciated far into the future. exciting environment. One thing that also comes up in mind is Sushi, which is one of my favorite dishes. Tony: We have tried our hardest to put melody back in hard rock music – songs that you will have as a soundtrack to your lives, songs and melodies easy to remember and sing along to, songs that will bring joy and energy to the listener – So we really hope you will like “GOLD FROM THE FUTURE”, the way we do.